Just a quick reminder that we have a few places left for this event, so please book now to avoid disappointment! We will be welcoming our UK Research Office (UKRO) European Advisor, Dr Branwen Hide, to Manchester Met on the 8th November, 2018. As part of her visit, Branwen will be presenting a forward-looking update on EU research, which will provide insights into the new Horizon Europe programme and life after Brexit, as well as a consideration of the increasing importance of global sustainability and international collaboration. This is likely to be a popular event, so places will be allocated on a first come, first serve basis. For details of timings and location, and to book a place, please visit our event registration page here. PLEASE NOTE – this event is only open to employees of Manchester Met. The UK Research Office (UKRO) is the European office of the UK Research Councils. It delivers a subscription-based advisory service for research organisations and provides National Contact Point services on behalf of the UK Government. UKRO’s mission is to maximise UK engagement in EU-funded research, innovation and higher education activities. 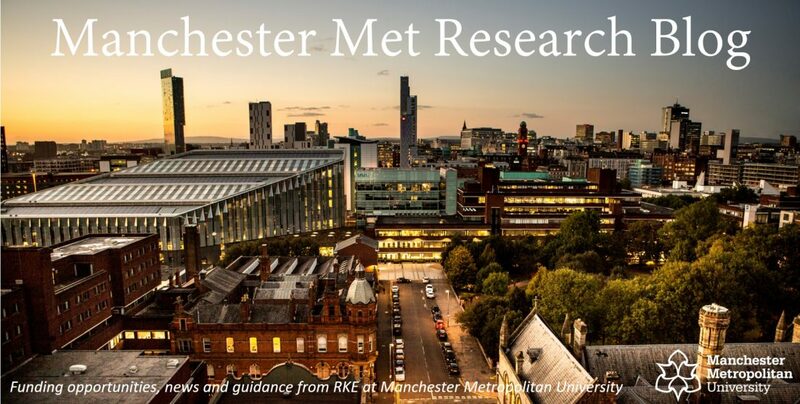 For further information about Manchester Met’s subscription to UKRO, or EU-funded research please contact(euro_res@mmu.ac.uk). Categories: Events, Horizon 2020 | Tags: Brexit, Europe, Horizon 2020, Research, UKRO | Permalink. Categories: Event, Horizon 2020 | Tags: Brexit, Europe, Research, UKRO | Permalink. After a little absence, and with the next annual updates of H2020 work programmes on the horizon, we thought a round-up might be useful to Blog readers. The draft priorities for 2019 calls will soon be approved, with a target date of July 2018 for publication of the final work programmes. Our colleagues from UKRO have been doing a great job in pulling together the latest intelligence on what’s likely to change. Societal Challenge 5. Climate Action there will be an Infoday relating to the 2019 call in Brussels on 11 September 2018. There will be also be an Infoday relating to the 2019 call for Societal Challenge 2 (Food Security …) in Brussels on 25 June 2018. As ever, if you’re thinking of applying and need advice then do get in touch (euro_res@mmu.ac.uk). Whilst the UK’s participation in future programmes will depend on the outcome of negotiations around our departure from the EU, the UK Government has been very clear about it’s desire to take an active and full role in Horizon Europe (Ed – this has been a theme in recent speeches made by the Prime Minister and Science Minister). The UK Research Office (UKRO) is the European office of the UK Research Councils. UKRO’s mission is to promote effective UK engagement in EU research, innovation and higher education activities. As a subscriber to UKRO, all MMU staff can register to receive personalised alerts on funding opportunities and policy developments. Categories: Erasmus+, Horizon 2020 | Tags: Erasmus+, Europe, Horizon 2020, Research, UKRO | Permalink. Just a quick reminder that we will be welcoming our UK Research Office European Advisor, Ian Devine, to Manchester Met on 31 October 2017. Ian will be providing an update on the new Horizon 2020 2018-20 work programme for all those of you who are interested in finding out about opportunities for funding through Horizon 2020. He will also provide information about the Marie Skłodowska-Curie Actions, for which UKRO are the UK’s National Contact Point. For details of timings and location and to book a place please visit our event registration page here. PLEASE NOTE – this event is only open to employees of Manchester Met and the Universities of Manchester and Salford. There will also be the opportunity for Manchester Met staff to meet with Ian on a one-to-one or small group basis on the afternoon of 31 October 2017 to discuss any particular queries. If you would like to book a slot then please contact us (euro_res@mmu.ac.uk). Ian will also be visiting the Universities of Salford and Manchester to present on 1 and 2 November respectively, and colleagues have kindly agreed to open up their sessions to Manchester Met staff who are unable to make it to our sessions. If you would like further details of events at University of Salford or University of Manchester please contact us (euro_res@mmu.ac.uk) and we will provide details of how to register. Categories: Event, Horizon 2020, Uncategorized | Tags: Europe, Horizon 2020, Marie Skłodowska-Curie Actions, Research, UKRO | Permalink. As previously announced via the Blog, we will be welcoming our UK Research Office European Advisor, Ian Devine, to Manchester Met on 31 October 2017. Categories: Event, Horizon 2020 | Tags: Horizon 2020, Marie Skłodowska-Curie Actions, UKRO | Permalink. As we move towards the launch of the new H2020 workprogramme, copies of different are now starting to be pre-published. These are shared by the Commission services to aid planning and preparation, but are still subject to possible change and not yet fully adopted or endorsed. We will keep you updated as more information becomes available. If you would like to know more or discuss further then please don’t hesitate to get in touch (euro_res@mmu.ac.uk). Just a reminder, that we will be welcoming Ian Devine from UKRO to Manchester Met on 31 October to give us an update on the new workprogramme. We are finalising our registration page, but if you are interested in attending please do drop us a line at euro_res@mmu.ac.uk. Categories: Event, Funding Opportunities, Horizon 2020 | Tags: Europe in a Changing World, FET, Horizon 2020, ICT, transport, UKRO | Permalink.